No doubt that email marketing is an excellent tool for marketers wanting the right exposure. However, when it comes to its implementation, it is not at all easy. In a world where more than half of the population uses email accounts, reaching out to the customer to leave an impact all the way through the competitive crowd is challenging. Moreover, budget limitations and other constraints add up to the worries of an email marketer that even with robust strategies their campaigns fail to show results. That is why, along with aiming for big, marketers should also pay attention to minor aspects of email marketing that are crucial for overall success. No matter how informed you are about the audience or the market you are targeting with marketing campaigns, if your campaigns fail to woe your customers it is of no use. And to help you in that regard, here are some proven tips that will address your email marketing challenges and help you to build a responsive and result-driven email strategy right away. The first thing that a receiver looks at when they open their inbox is the subject line of the messages received. The moment they find the use of words like ‘10% off, Spend $100 or more, get free shipping, Discount’ etc., they immediately click on the message to know more. This is a human tendency. Including such catchy words in your subject line can help draw attention towards your campaigns and boost open rate and CTR of your emails. So, the faster you understand this psychological trick, the better you can do with your marketing campaigns to get maximum attention. Make sure that the emails you sent are not cluttered. Try to keep your email simple, precise and easy to understand. When you junk up your messages with more than two or three typefaces, then the reader ends up getting tired of going through the entire email and thus this impact the overall impression of the customer. It is crucial to include call-to-action (CTA) button within your email. Also, make sure that you place the CTA button at least at three places throughout the email where it is clearly visible to the reader. As soon as the reader opens the email, the CTA button should be there in front of his eyes so that he knows what to do when he needs to connect with your brand. Today, people are not restricted to the desktop for viewing emails. They are using different devices to access their inbox including tablets, mobile phones, etc. Hence, the template size and the image pixel of your email do matter. No matter what device they use, they should be able to scroll down the entire message without having to go horizontal. Your emails should not be wider than 650 pixels as doing so will negatively impact the viewing experience of the reader. From campaign design to its content, everything is decided on the basis of various customer metrics which includes their preferences, interest, product type, etc. Similarly, even where to put the company logo in your email is a matter of serious attention. It has been seen that people tend to look for logos usually on the left-hand side of the email. Hence, it can be concluded that by doing so, you can improve your brand’s visibility and better do with branding than before. As earlier we spoke that including incentives in the subject line helps a lot to capture attention. However, what is equally vital is that your subject needs to be crisp and short too. It should not consist of more than 50 characters. Also, the subject line should create a sense of urgency in the mind of the reader, compelling them to open the email and see the details inside. 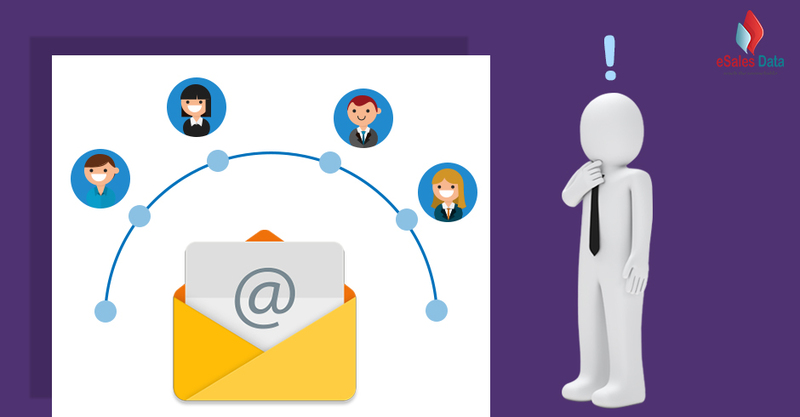 Before hitting the send button, run a test email campaign by sending it to your colleagues or friends and family. Take suggestion and feedback from them and evaluate the engagement rate and other necessary metrics. This will help you to get a preview of how your campaign will perform in the real scenario. If there are any loopholes, then you get to know it before and work on them to make your campaign error-free. Developing email campaigns that are effective is not only your job. You need to measure the performance of your campaigns also. There are various analytics tools available using which you can track the responses, CTR, deliverability, and other essential metrics of your email marketing campaign. This evaluation is important as it will inform you about what you are doing right and where you are going wrong. You get to work on them and come up with even better campaigns the next time. All of these strategies for sure will work for business of any type and size. These are some common but proven tactics that have been giving helping email marketers in getting desirable results. If you still have any confusion or not sure about what to do, then let us know your concern and constraints.